Antminer R4 on sale now - Antminer Distribution EU - €1.899,- VAT incl. Please do not place your order at another website or person that claims to be linked to our company. 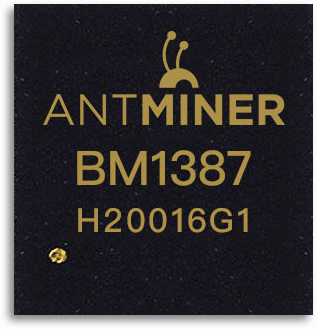 We have no relation and only sell products via www.antminerdistribution.com. Worldwide shipping cheap and fast! Note: The Antminer R4 ships out from january 26th after full payment (first-order-first-ship). Note: Payment for this batch 5 can only be done in bitcoins. Note: Your order is only final after we confirmed it by sending the invoice. Note: The price of bitcoin mining machines must be adjusted frequently according to many factors, including Bitcoin/USD exchange rate, the network difficulty, and expected difficulty increase. Refund requests based on price changes cannot be honored. Note: Up to two years warranty instead of 90 days. 1. 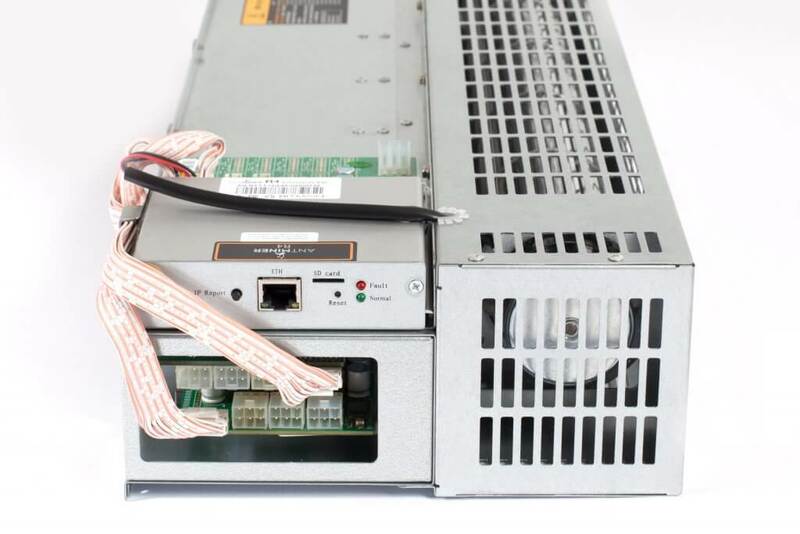 Each AntMiner R4 has 6 PCI-e connectors for +12V/15A DC STABLE input on hash boards and 1 PCI-e connector on the controller, all the 7 PCI-e connectors are required. Do not connect more than one PSU to the same hash board to prevent possible damage and instability. 2. 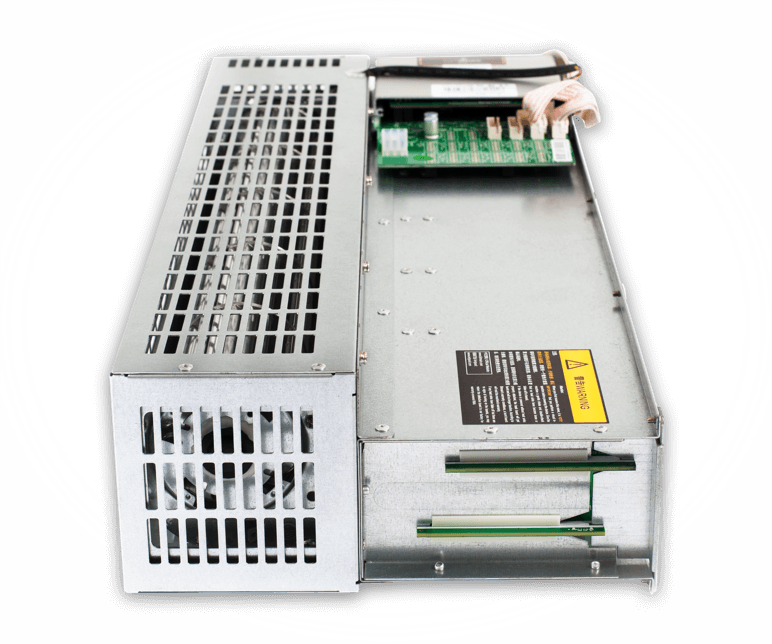 Power consumption figures will vary with your PSU’s efficiency, the ambient operating temperature and the accuracy of the power meter. 3. Power supply unit is not included. 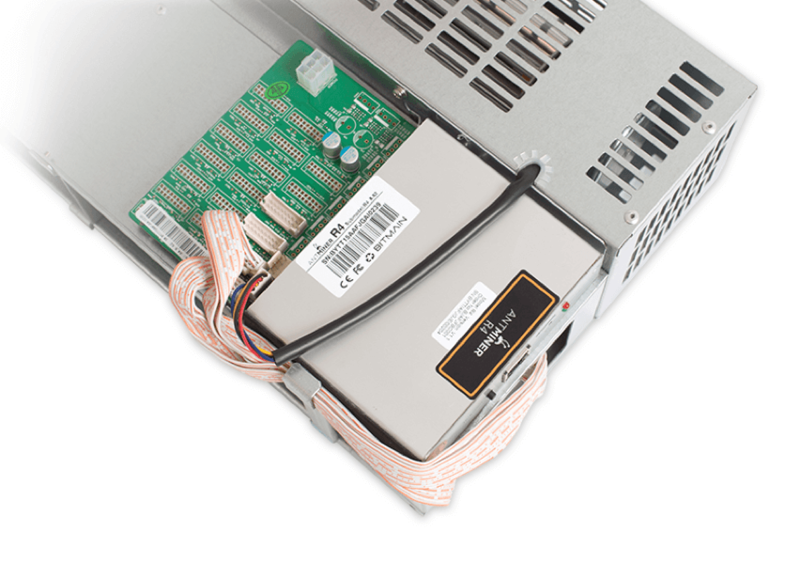 We recommend the APW5 power supply for the R4 if you prefer silent mining. 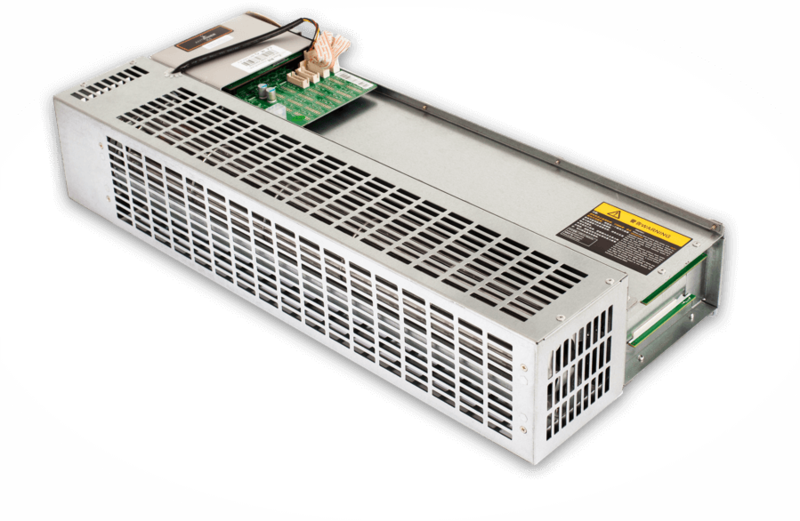 The APW5 can power up two Antminers R4! But if you do not mind some more noise you can also purchase the cheaper APW3+-12-1600 Power supply to power up the R4. 4. Please download the latest R4 user manual right here. Producing a sound that’s usually less than 52dB, the R4 manages to deliver a monstrous hashrate of 7.5TH/with a sound level unseen since the existence of 1TH/s bitcoin miners. With a height of 100mm, it is slim enough to rest comfortably in your book rack or computer table. We are a reliable company, you can request for recommendations from customers in your country. But you can also check for reviews on our Facebook page or contact BITMAIN (Lora) for recommendations. Shipping directly from the Netherlands so no additional import duties/customs fees/VAT or delays! We offer the best online pricing possible in the EU. Easy and fast repair service here at repair center in the Netherlands. Our website is online since 2014! We have a valid EU company VAT number and a registration at the dutch chambre of commerce.